All microbes have an optimal pH range within which they thrive. They also have a minimum and maximum pH beyond which they cannot grow. Students observe the effect of pH (ranging from 3 to 11) on microbial growth. For a class of 30. All microbes have an optimal pH range within which they thrive. They also have a minimum and maximum pH beyond which they cannot grow. Students observe the effect of pH (ranging from 3 to 11) on microbial growth. Requires 2 to 3 days from setup to completion. With teacher instructions. 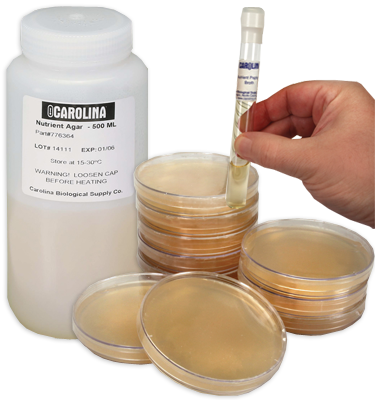 Note:Keep bacteria cultures and agar at room temperature; do not incubate or freeze.